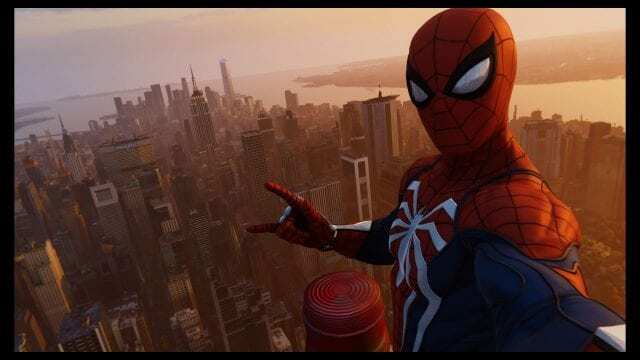 Home » A+E » Game Review: Marvel’s Spider-Man is an extremely strong start to the busy fall game season. Put on your mask and pull up your tights, your friendly neighborhood Spider-Man has made his triumphant return to the video game world. 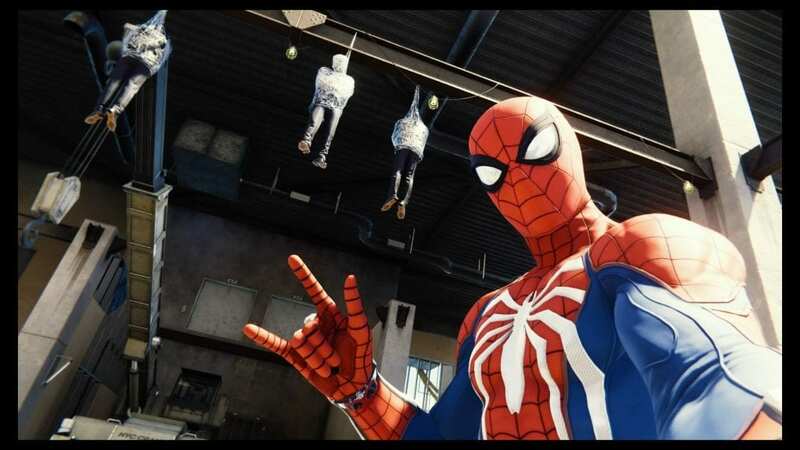 Insomniac Games’ “Marvel’s Spider-Man” is a Playstation 4 exclusive that delivers an in-depth narrative that doesn’t just focus on Peter Parker’s alter ego, Spider-Man, but his struggles with keeping a job, rekindling old love and spending time with the people who care for him most. The two-act story begins with Spider-Man’s struggle against Mr. Negative and his Demon Gang’s attack on the city, and ends with him saving New York from the Sinister Six — one of Spider-Man’s most well-known group of foes. Although the story was great and engaging, the Sinister Six storyline was too short and left me wanting more from the second act. However, Spider-Man delivers a high-flying, exciting adventure for the die-hard Spidey fan, as well as newcomers to the world of the webslinger. 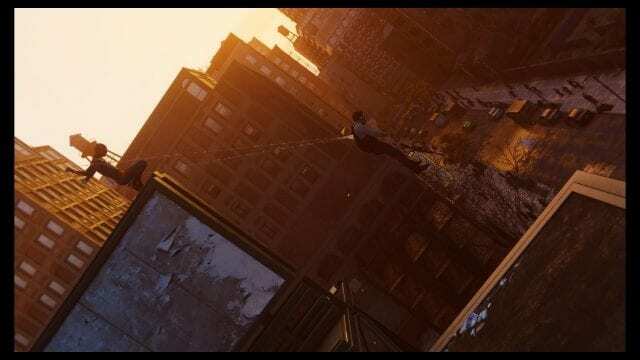 Set in New York, swinging around the city is nothing short of exhilarating. There are a few mechanics to learn to get the point of feeling exactly like Spider-Man, but once you get the hang of it, going from one side to the other of the massive map is one of the best parts of the game. 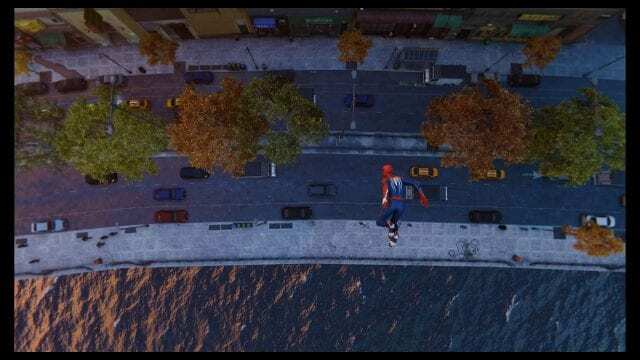 Insomniac made traversal fun with many different ways to gain speed, turn corners and even perform acrobatics while falling. 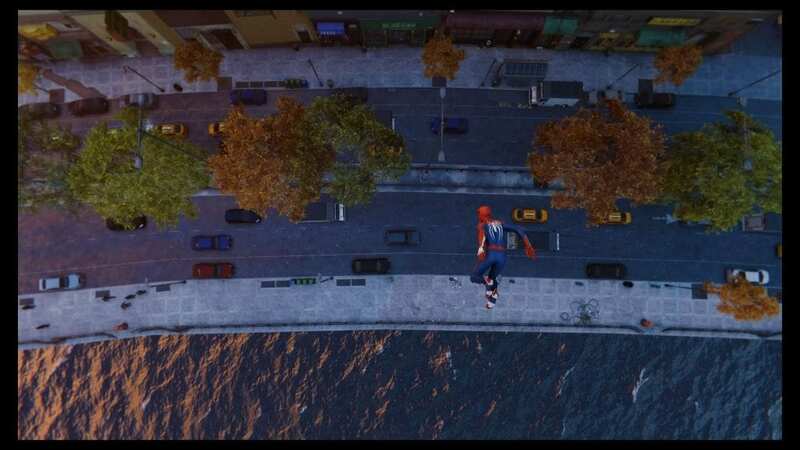 The extensive variety of web-swinging is equally matched by the combat in the game. You can fight hand-to-hand, use different web attacks and gadgets, or play defensively with plenty of dodging, making the combat unique from other third-person, open-world superhero games. Mastering the different fighting styles will help significantly in the clashes with villains and henchmen in the game. Aside from basic combat, there are also many events in the game that require stealth to help Spider-Man sneak through a gang-controlled area or villain compound to gather information or take down bad guys without risk. 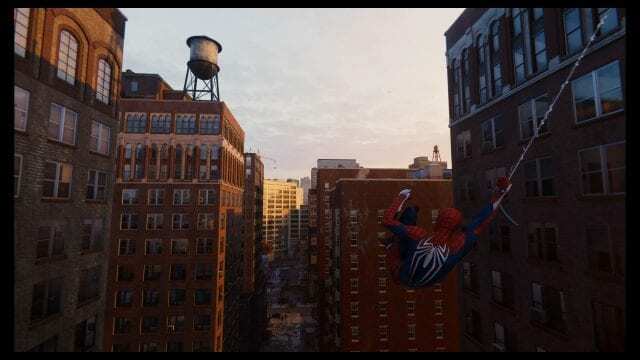 During shorter sequences of the game, the playable character would switch from Spider-Man to friends, like Mary Jane Watson and Mile Morales. At these points in the game, stealth was a large component because neither Mary Jane nor Miles have super powers. 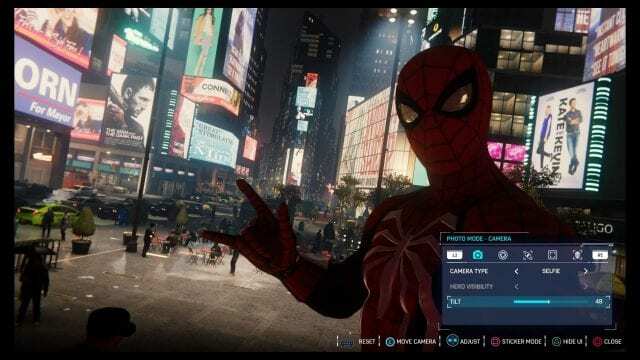 Insomniac employed these stealth sections to gather intel on an upcoming mission or lead Spider-Man in the right direction to find a way to take down his adversaries. 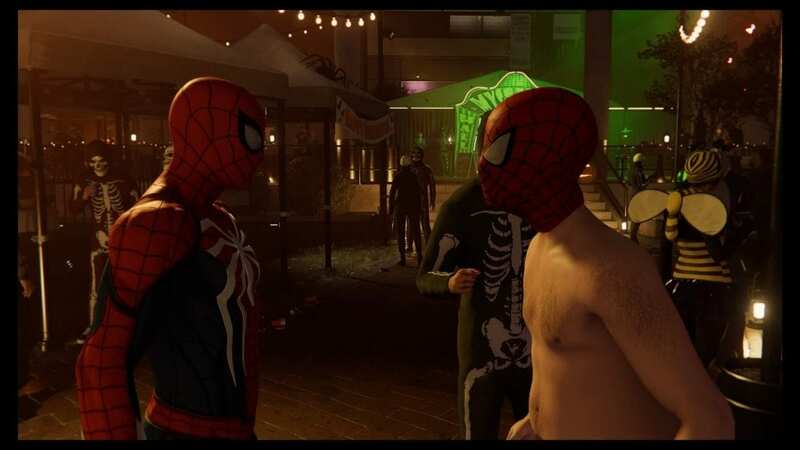 By the end of the game, these parts grew tiring and seemed to distract from the best part of the gameplay — being Spider-Man. 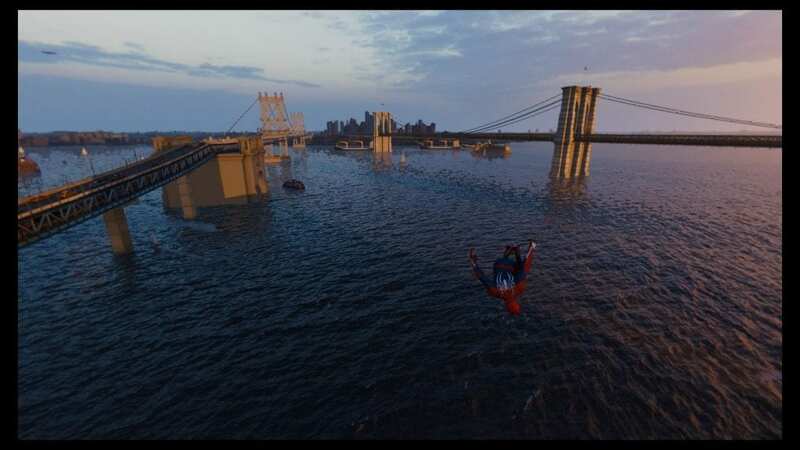 As an open-world game, the map is packed with plenty of side quests like comic book easter eggs, challenges, collectibles, map-clearing towers, well-known New York landmarks and crime-stopping that the player can complete and explore. 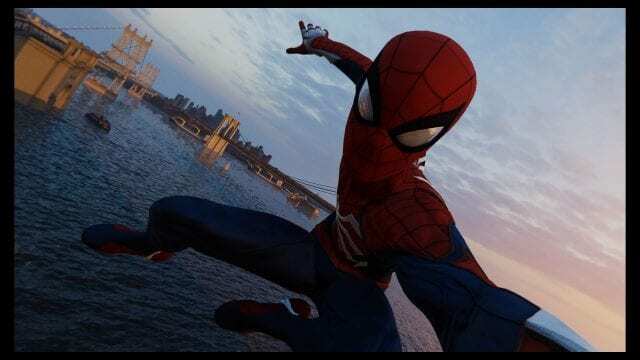 Spider-Man also has several different skills to learn, gadgets to upgrade and new suits to unlock, giving the player options for mixing-and-matching abilities, play styles and looks for their version of the hero. Players also have the opportunity to capture their most intense, funny or visually pleasing moments by pausing at any time and entering the game’s photo mode. 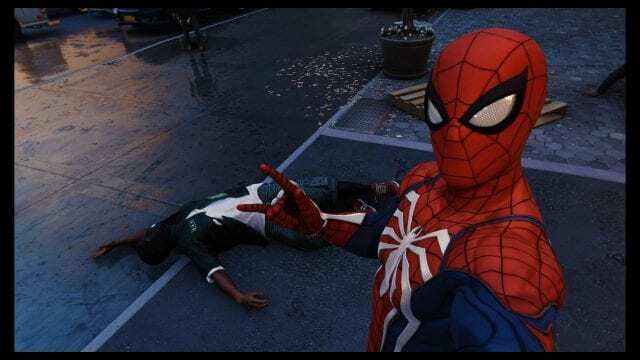 Spider-Man taking a selfie with a defeated criminal. 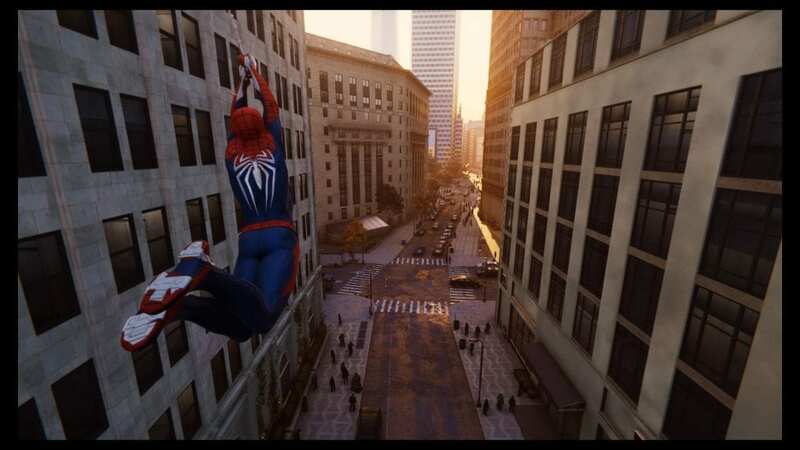 Spider-Man swinging through the streets on New York. 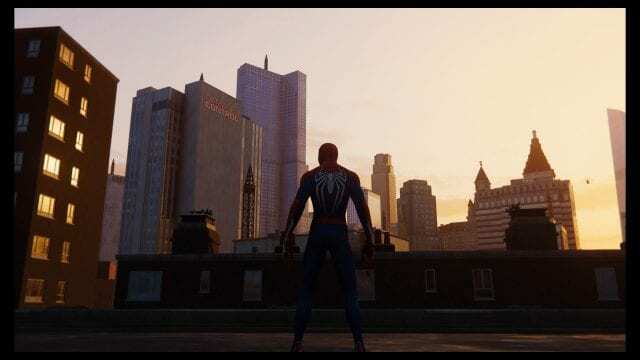 Spider-Man watching over New York. 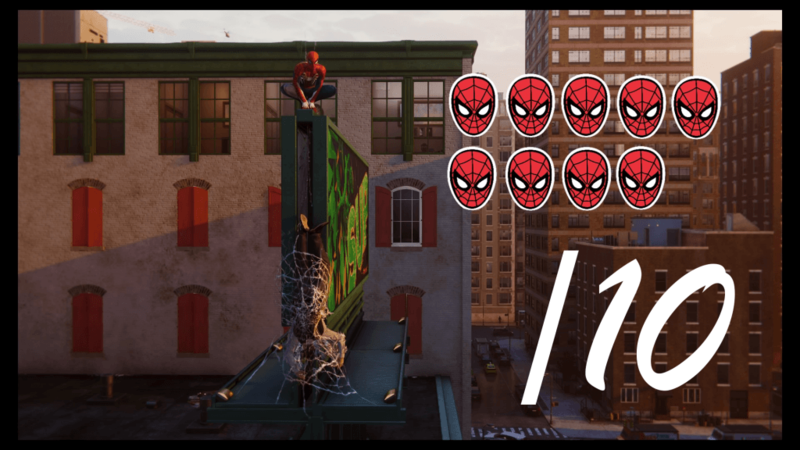 Just another day's work for Spider-Man. Spider-Man flipping past the Brooklyn Bridge. 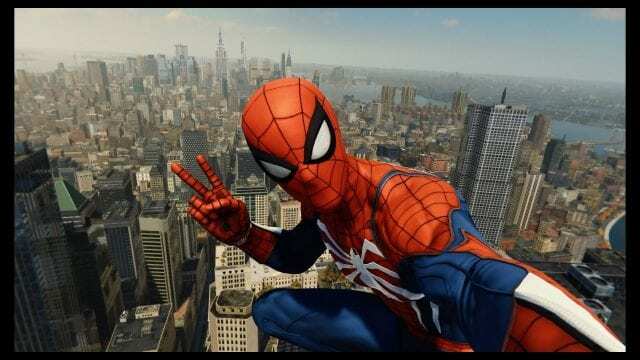 Spider selfie with the Brooklyn Bridge. Spider-Man perched on a billboard sneakily takes down an enemy. 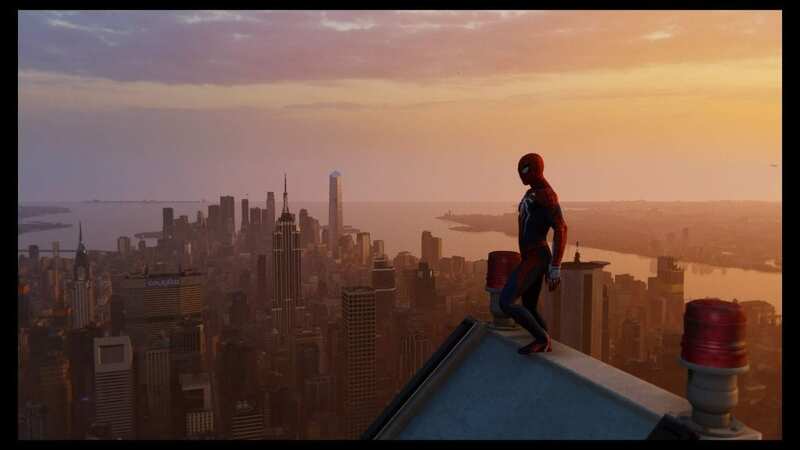 The hero overlooks New York on the Empire State Building. Taking selfies with my favorite city. Standing tall looking over the city. 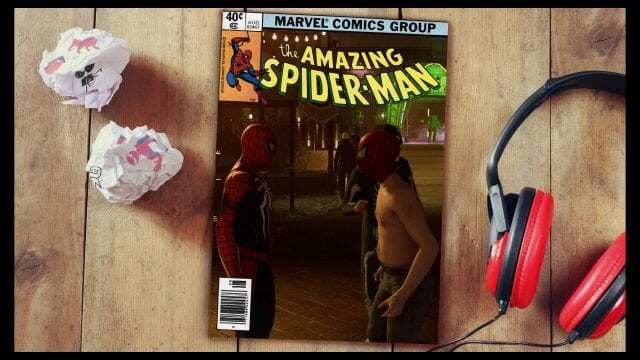 Spider-Man comic cover with shirtless Spider-Man. 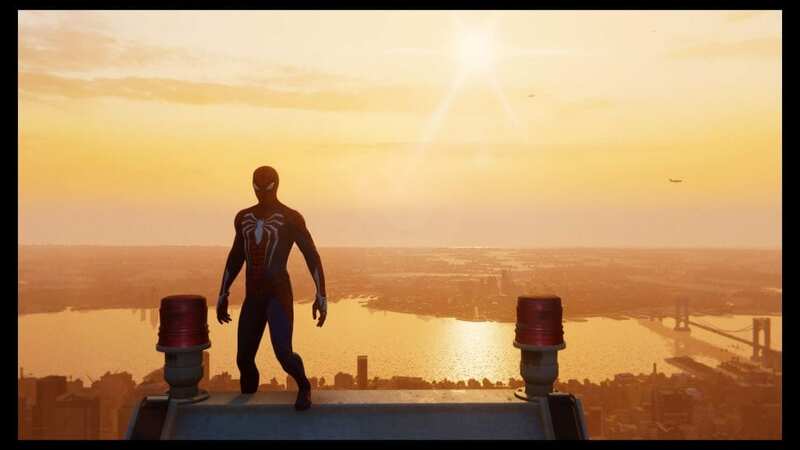 One of the many frames in the game's photo mode. Spider-Man at Times Square. 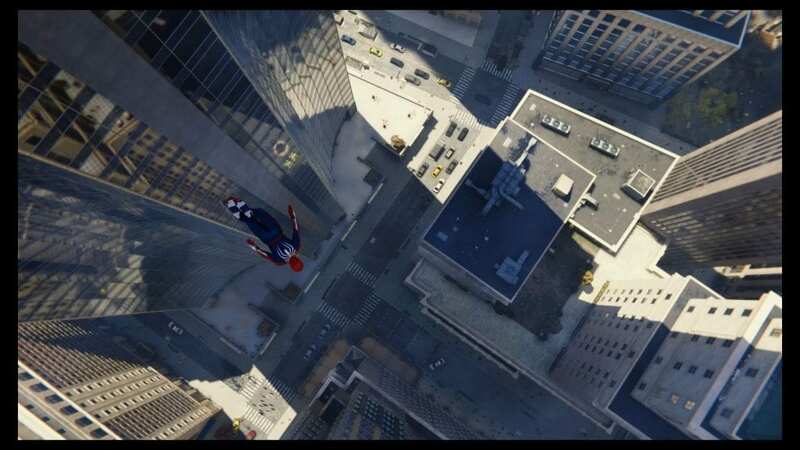 This is an example of what photo mode looks like with the controls still visible. Even though some parts of the game overstayed their welcome and others did not last long enough, it was all overshadowed by the beautiful, expansive map, fun gameplay and captivating story. 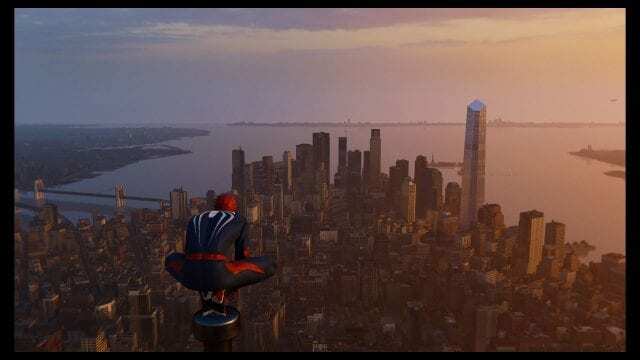 Overall, Spider-Man offers an incredible experience for anyone who picks it up and will surely be a game-of-the-year contender. 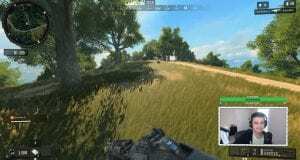 This is an awesome gameplay and love to play always as in free time. Graphics, Control, Soundtrack and visualization is too good. 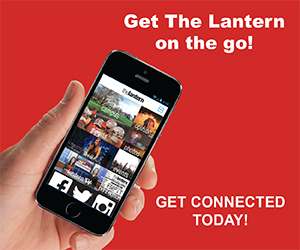 Download Cyberflix TV https://morpheustvs.com/cyberflix-tv-download/ and get all the great entertainment on your smartphone. It resembles a Venice shore cruiser using a plane engine hit the top. As these have been just bikes without a suspension, When you take a close have a take a look at the bicycles they were predicted bone rattlers.